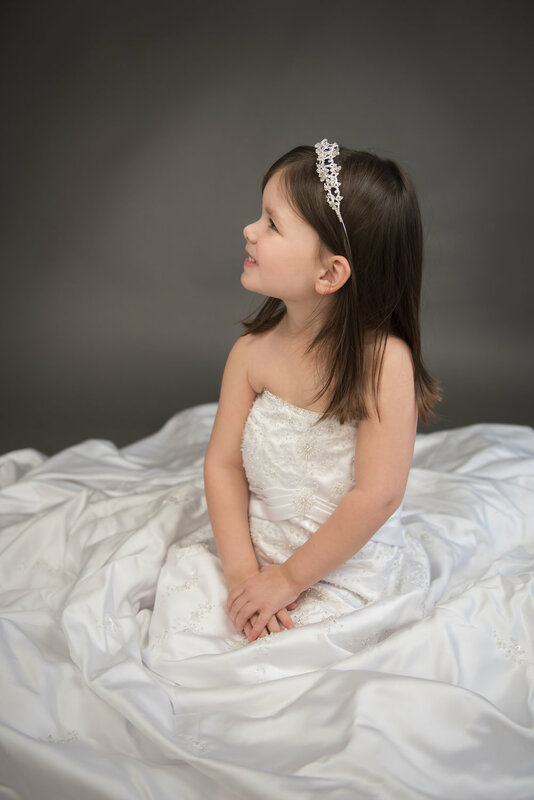 I've had this idea of doing classy portraits of little girls wearing their mothers/grandmother's wedding dresses for a while but wasn't sure how popular it would be. Well, after I did a survey, the response was overwhelming. This isn't just something my heart was excited about either! Norah was my adorable model for these mini sessions that will be introduced in April 2018. To find out more information on booking a session you can email me at info@photosbyariel.com or check out my facebook/Instagram page for more updates. Enjoy these adorable photos of sweet Norah!